Want your tires to look like the real things? 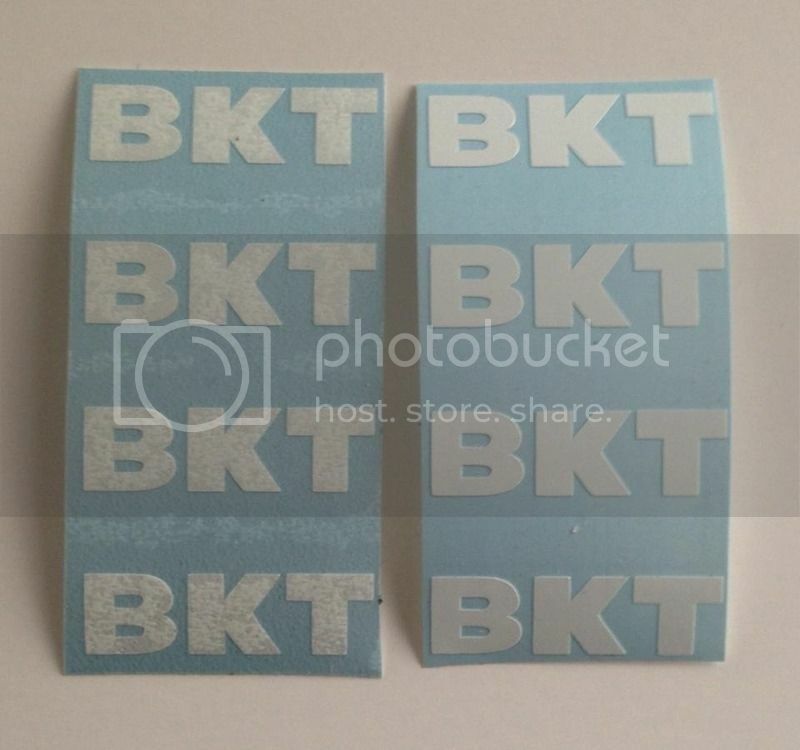 These BKT vinyl decal sets are the perfect way to add a scale touch to your custom builds! 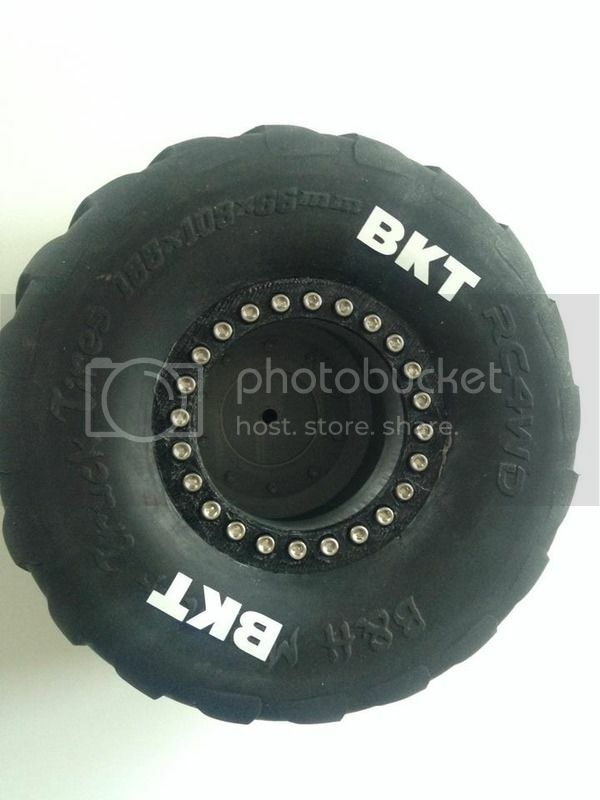 Printed on high quality white vinyl, these precut and weeded decal sets adhere directly to your tire. Sold in sets of 8, enough for a complete truck. Note: We recommend using rubbing alcohol over the area where these decals are to be applied to prep and clean the tire. Shipping Charges: Free US shipping incuded with this item! Prototype decals pictured. Production ones use the correct Italic BKT font.